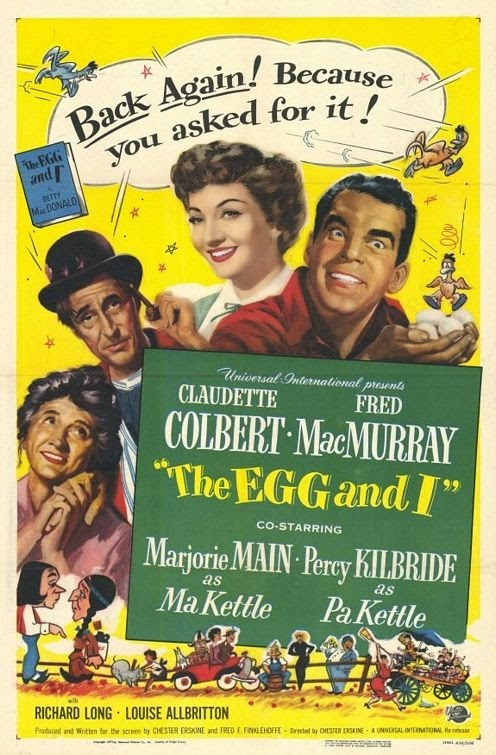 In addition to Colbert and MacMurray, the film co-stared Marjorie Main and Percy Kilbride as Ma and Pa Kettle. Main was nominated for an Academy Award for best Supporting Actress but she lost to Celeste Holm in "Gentleman's Agreement." (It is so hard to win for comedy!) After all the publicity, practically everyone involved with the book was sued. According to the folks down on the farm, old Mrs. MacDonald portrayed them negatively and they wanted monetary gains for being made to look foolish! And they did indeed get paid, but enough about them. Blend eggs, sugar and salt. Add fruit juices. Shake or beat until sugar is dissolved. pour over finely cracked ice to fill tall glasses 1/2 full. Add club soda slowly. Stir. Serve promptly. Feel free to add a big ol' glug of bourbon! on a personal note, I would suggest trolling Turner Broadcasting to find a showing of any one of Ma and Pa Kettle's movies and feel free to watch with a big ol' glug of bourbon! Long time follower - first comment. As an southerner exiled to the misty mountains of the northwest I tremendously enjoy reading your blog. It feels like I am having a cozy chat with a girlfriend from Alabama. 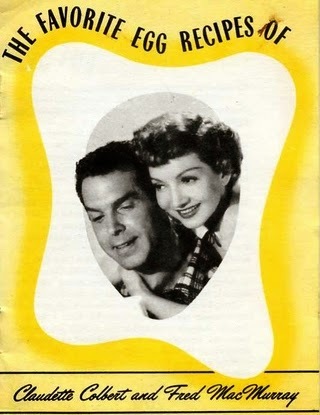 I enjoyed the movie The Egg and I, but after I moved to Seattle I read the book, and several of the other Betty MacDonald books. They provide a great snapshot of the area during the Great Depression and the war years. On the Olympic Peninsula, there is actually an "Egg and I" road - it goes to the farm that she lived on in the 20s. She worked where I now work, and as described in one of her later books, was fired from her job for working on The Egg and I book. But she got the last laugh as it became such a huge bestseller. Sadly, she died too young, at the age of 49.